Malware-Traffic-Analysis.net - 2018-07-15 - Traffic analysis exercise - Oh noes! Torrentz on our network! 2018-07-15 - TRAFFIC ANALYSIS EXERCISE - OH NOES! 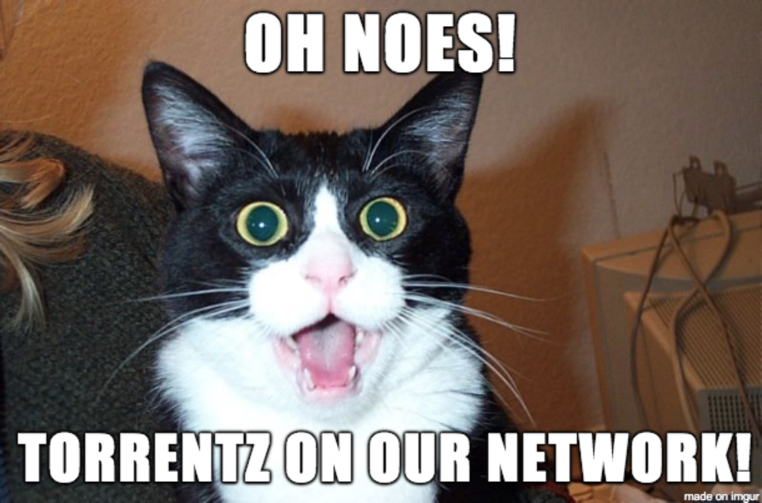 TORRENTZ ON OUR NETWORK! Shown above: Some people's reaction when they find out torrenting is happening on their network. What is the MAC address of the computer at 10.0.0.201? What is the host name of the computer at 10.0.0.201? What is the Windows user account name for the computer at 10.0.0.201? What is the Microsoft Windows version (XP, 7, 8, or 10) of the computer at 10.0.0.201? What time in UTC did the torrent activity from 10.0.0.201 start? What torrent file did the user at 10.0.0.201 download? What is the name of the torrent client used on 10.0.0.201? What file is being seeded (shared) by the torrent client on 10.0.0.201?